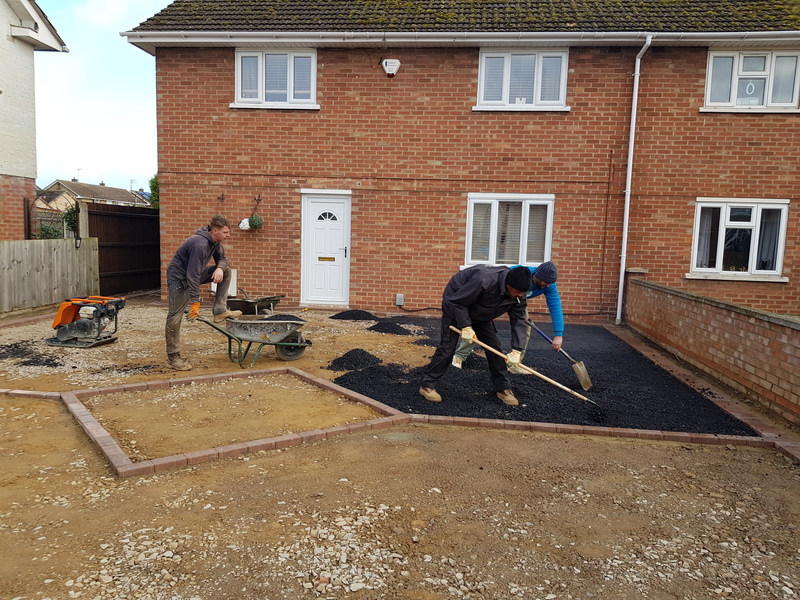 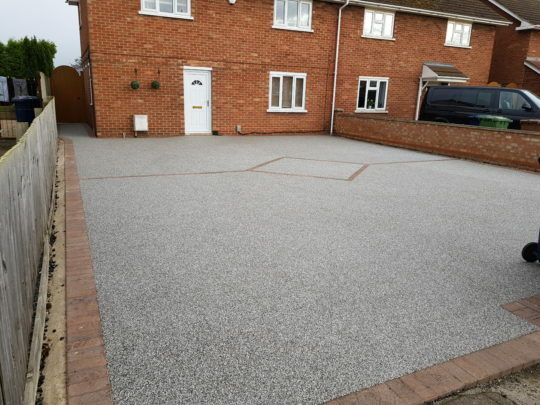 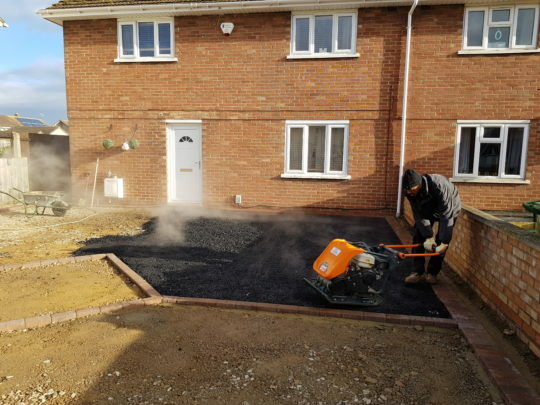 Our client had a large driveway which was previously block paved with an area of loose gravel. 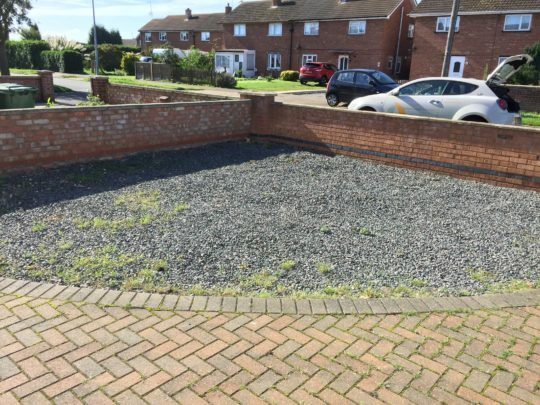 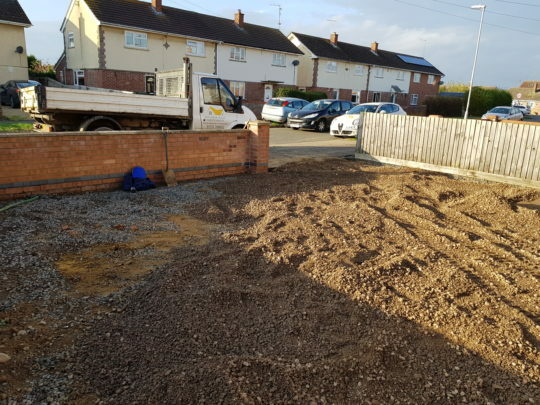 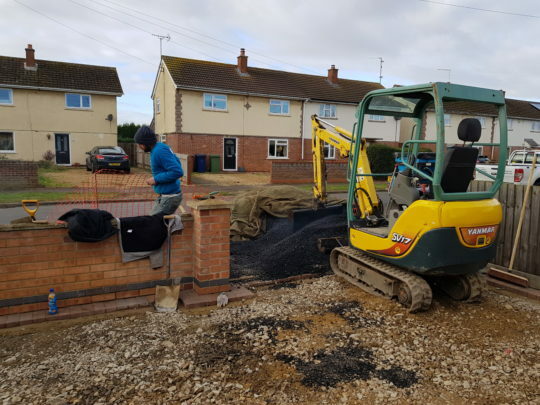 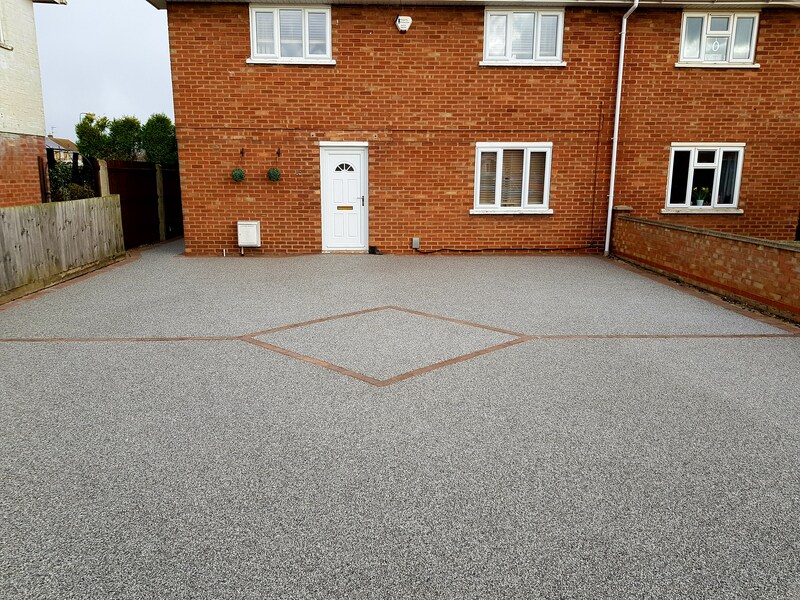 The blocks had faded and sunk in a lot of places and there was an awful amount of weeds and moss that our client was fed up of having to deal with so we recommended a Resin Bound driveway. The existing gravel and old block paving was excavated and disposed of. Edging blocks were installed and instead of simply having a large car park like drive, we suggested splitting the install area with a decorative centre piece to make things look less commercial. 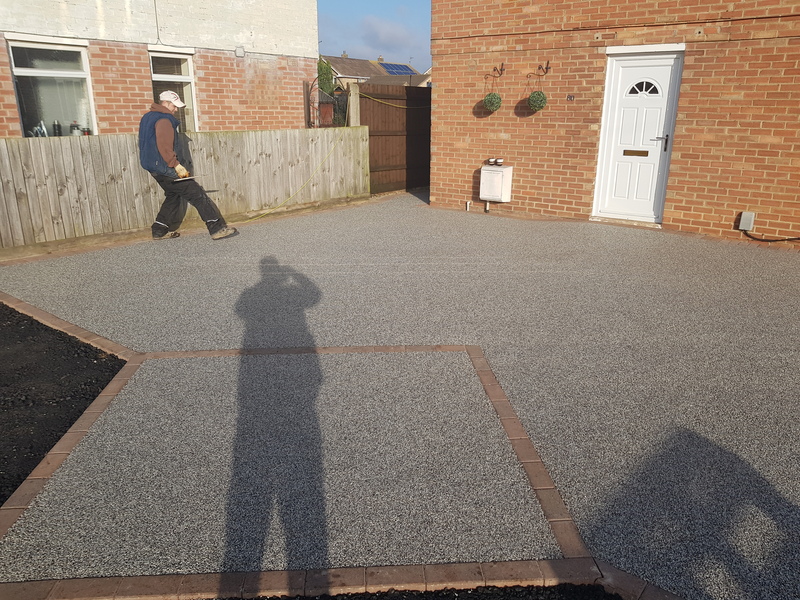 Once blocks were set, the area was topped with open course bitumen and finished with Daltex Silver aggregate hand troweled in UVR Resin. The end result is a clean, crisp looking driveway that will require next to no maintenance and glistens in the sun as areas of the aggregate laid reflect the sun.